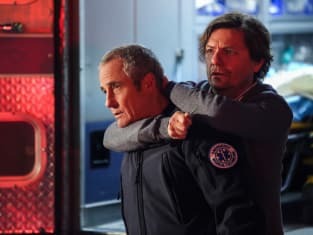 Well, at least the Criminal Minds braintrust made a strong pitch for a Season 14, even though it was an uninspired idea, undoubtedly from CBS, to force together two disconnected episodes into a finale "event." 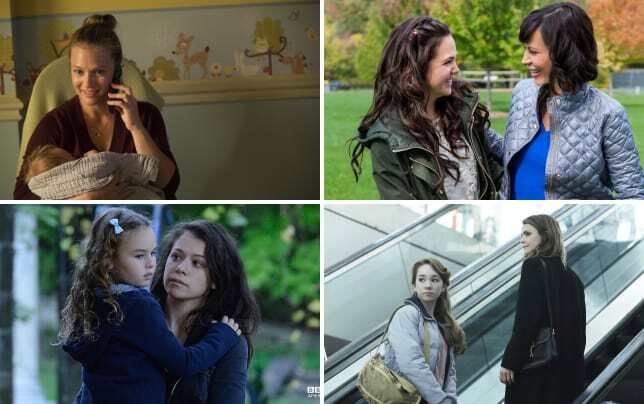 Still, the range of this series was showcased on Criminal Minds Season 13 Episode 21 and Criminal Minds Season 13 Episode 22. First, let's drill down on the case featuring the Taos Hum, which I can't get out of my head. Only on Criminal Minds can murder by power tool be treated as a matter of course. Or, to look at it another way, the BAU has dealt with even more gruesome methods for killing. I agreed with the local chief, whose opinion about the murders seemed to be "WTF?" This was definitely outside her area of expertise. This episode reinforced that the hardest part of being a BAU profile is trying to find a logic for the unsub's killing spree. Caleb was right to be upset with the teacher who created those "hum-canceling boxes" because those were an expensive scam that didn't help sufferers, including his wife. And, yeah, when shutting down the power plant didn't help, Caleb snapped and savagely murdered the engineer. But what did the doctor, the construction worker, and the library tech ever do to him? Nothing that I could see. As Lewis pointed out, eventually the motivation makes sense, if only to the unsub. And she was the one who eventually put everything together. I'd never heard of the Taos Hum. But it's definitely a thing, around the world. This is what you have to do after 13 seasons on the air. Find an obscure phenomenon, then figure out how it could drive someone to kill. Caleb and Sarah came to Taos with the greatest of hopes. Then an environmental quirk drove her insane, to the point when she killed herself for relief. Related: Criminal Minds Showrunner Q&A: The Surprising Finale, the Show's Future and More! Then a grieving Caleb used that same method to protect others from the Hum, even if he ended up killing them in the process. Remember, it doesn't have to make sense to anyone but him. This was a strong episode for Lewis, and there haven't been many of those. She put the team on the right track. She was the one who talked down Caleb, drawing on her own painful experience. Also, she and Alves seemed to have a burgeoning friendship, which allowed Lewis to show off her playful side as well. This blooming relationship continued to be showcased in the finale (the real finale), as she continued jibing him throughout. But that wasn't the main relationship featured in the episode. That would have been the one between Reid and Owen, the FBI agent he rescued, then helped to reclaim his memory and his life (well, if he actually survives). The friendship between Reid and JJ was also sweet, with her worrying about his fragile psyche and him finally hugging and thanking her for caring about him. It was difficult throughout to figure out what was going on with Owen. It was easy to see why the team members were uncertain about him. I'm surprised that there haven't been more wannabe profilers, more BAU envy. I wonder if the real BAU is viewed as the A-Team within the FBI. I never saw a cult of serial killers being the actual unsubs. That successfully came out of left field and went right by both Owen and Reid, the guy who is teaching profiling. It was fascinating seeing Michael Hogan, Colonel Tigh on Battlestar Galactica, playing a Machiavellian villain. I thought the BAU dismissed the Believers way too easily, believing that locking up their leader would cause the cult to disappear. Instead, the cult was operating inside the FBI itself. It was smart to put arguably the most popular members of the team -- Reid and Garcia -- in peril for the cliffhanger. That was much better than the vague car crashes at the end of Criminal Minds Season 12. After a season of largely one-and-done episodes, this was a pleasant change of pace to have a new nemesis introduced for the BAU. It's hard enough to uncover one unsub, let alone a group of them. Is CBS going to leave this series hanging with Episode 299? You would have to think not. There's still syndication money to be made. What I fear is that CBS lowballs ABC Studios, and the team shrinks as a result. With Reid and Lewis intermittent already, that wouldn't be a good development. 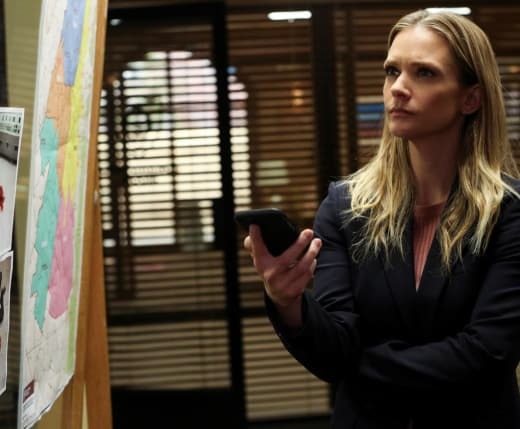 To review Criminal Minds Season 13, watch Criminal Minds online. Did you enjoy the Hum episode? How about the cultish cliffhanger? 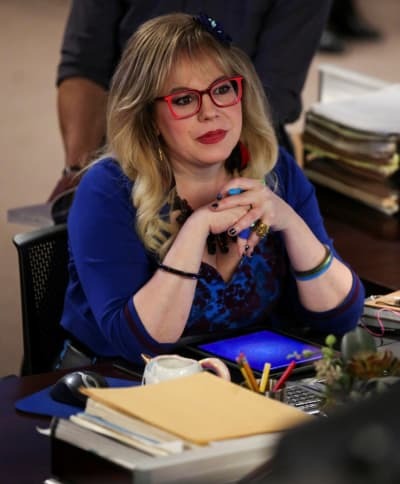 Will Criminal Minds return? Comment below.